Education: J.D., University of San Francisco School of Law, 1997. Recipient of Moot Court Best Brief Award and American Jurisprudence Award for Criminal Procedure; B.A., Political Science, Boston College, 1990. My first jury trial was as a certified law student, as the third chair attorney representing a medical device inventor in a multi-week jury trial. The client recovered a seven-figure royalty award and was completed vindicated on claims for breach of contract and breach of fiduciary duty. As lead counsel for plaintiff developer/contractor in a luxury home development case, recovered a six-figure damages award for the client on a unanimous jury verdict. In a breach of fiduciary duty case, I was lead counsel in the successful representation of the general partner and manager of multiple development entities against claims totaling over $60 million. After Plaintiff’s cross-examination in the first week of trial, the matter settled very favorably for the client. I successfully represented a shopping center owner in an arbitration to enforce a highly valuable use restriction over an adjacent parcel. Lead trial counsel in a real property dispute involving a luxury Menlo Park condominium. The client was being sued by a tenant claiming to have an enforceable contract to purchase the property formed using email, implicating the Uniform Electronic Transactions Act (Cal. Civ. Code §1633.1 et seq.). 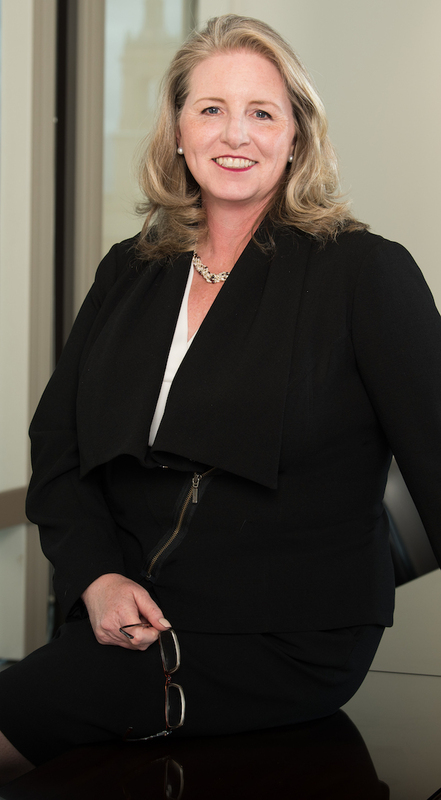 Ms. Harrington’s motion to bifurcate the case and try the UETA issues up front was granted, and she achieved a complete victory for her client on all contract claims in a one-day bench trial. As trial counsel for the plaintiff in a driveway easement dispute in Napa County, I successfully defended client’s property rights against a winery seeking to use a rural driveway easement for a hospitality center and production center. I obtained a post-trial injunction against use of the driveway for the winery project and successfully defended the injunction in writ proceedings. Ms. Harrington obtained a full affirmance of the trial court on appeal. In a closely held corporate dispute, obtained summary disposition of clients’ contractual right of first refusal to buy the shares of a fellow shareholder in a JAMS arbitration proceeding. The win allowed the client to obtain controlling interest in the company rather than continuing in 50/50 ownership with a third party chosen by the departing shareholder. Favorite part of working at Greenfield: I enjoy civil litigation because of the range of cases we cover across different fields and areas of knowledge. Cases vary from medical surgical devices, construction loans, shopping center disputes, subdivision drainage, and elder abuse. The variety of business litigation makes the job a constant adventure. One way in which I think lawyers can benefit others: Sometimes lawyers really do help people solve problems that can’t be addressed in any way except by recourse to the judicial system. Clients have a legitimate problem, and there’s no way they can fix it themselves. That’s where we come in, and it’s tremendously rewarding when we can help people achieve a workable solution. What makes a good trial attorney: Probably the most important thing is to be able to make decisions and make them quickly. Whether you’re at a hearing or you’re in trial, decisions are coming at you all the time. Do I object? Do I not object? Do I make this argument or not? You’ve got to do the analysis quickly, make the decision, and move on. If I weren’t a lawyer, I would be: I have no idea. For me there’s never been a Plan B. Arguing for a living is a great choice for the Irish. What prepared me best for my career: The fact that I read all the time when I was a kid. The librarian at my elementary school, Miss Lillian Perry, was always suggesting books and giving me things to read – she is probably most responsible for setting me on the road to a career in the law. President of the Board of the Trustees of The Laurel School, which serves elementary students with learning differences and learning disabilities, from 2011 to 2015.